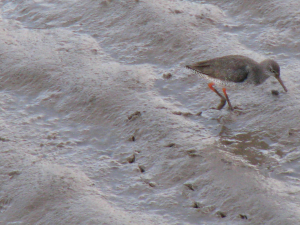 Observation - Spotted Redshank - UK and Ireland. Description: Mainly grey and white body with black and red bill and bright leg reds. Mainly grey and white body with black and red bill and bright leg reds.